The Digital Marketing Planning course introduces core digital marketing planning concepts to enable you to develop a better understanding of the factors involved in the implementation of strategic digital marketing plans. The Digital Marketing Planning online course is worth 7 hours of CPD. If you have any queries regarding the online courses please contact enquiries@oxfordpeg.com. Upon registering for one of the online courses, you will be given access to our online learning platform hosting the pre-recorded multi-media workshop presentations. Each individual course contains five online workshops for you to work through at your own pace and complete. Once you have completed the online sessions, you will be awarded a certificate of completion from Oxford College of Marketing. 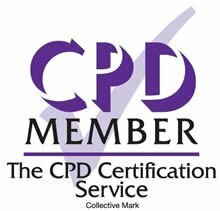 In addition each course series offers the opportunity to accumulate Continuing Professional Development (CPD) hours. Each individual course is only £99.Or why not take advantage of one of our package deals, buy three course together for £250 and for the full package of five courses the price is £350.